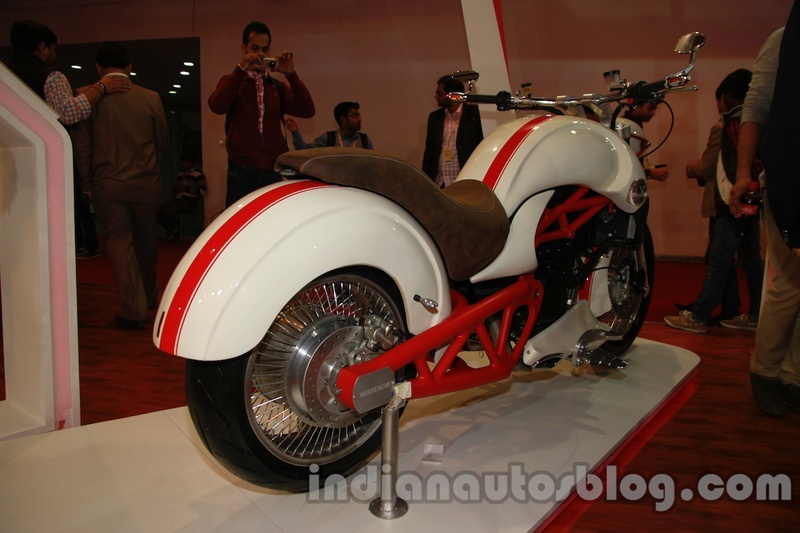 Vardenchi launched the T5, India's first "ultra premium motorcycle" at the Auto Expo 2014. 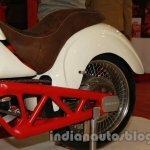 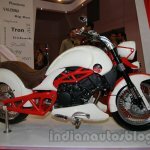 The T5, Vardenchi said, was developed jointly with Italian bike maker Moto Morini. It uses Moto Morini's V-Twin 1,187 cc engine which produces about 120 bhp. 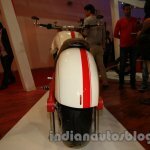 The Vardenchi T5 is priced at INR 12 lakhs, ex-Showroom, New Delhi. 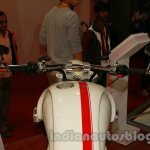 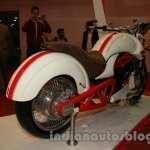 It is made at Vardenchi's plant in Navi Mumbai, with the engine coming from Italy, and Indian sales will take place through a few exclusive dealers. 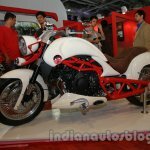 The bike will be sold in Europe through Moto Morini's distribution network. 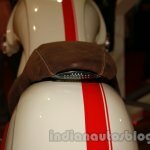 The 'T' in the name stands for 'Type' - in this case the 5th Type or generation of Vardenchi motorcycle. The company says the T5's idea was to introduce a bike with more brute force and muscle. 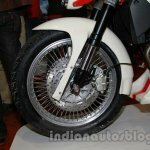 Though the front wheel of the display bike has a spoked alloy, the production version would have the option of custom alloys, the company states in its release. 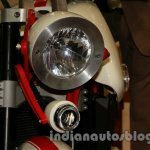 Unique features adorning the bike are twin exhausts, a trellis swingarm, brembo dual discs, Ohlins rear shock absorber and Marzocchi upside down front forks. 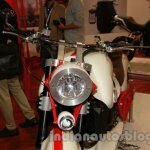 In India, Vardenchi will start sales of Moto Morini's Scrambler and Gran Passo models this year. 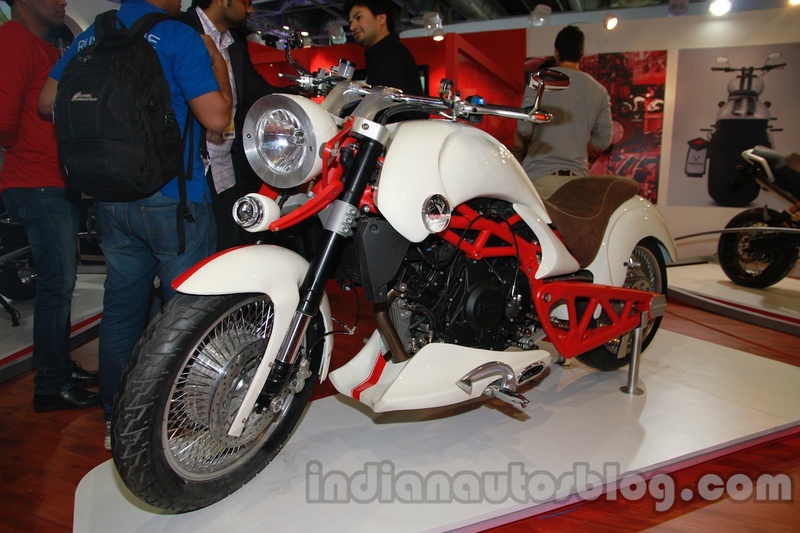 These two models will be brought into the country via the CBU route and will be priced at INR 26 lakhs.